Jeppe Sinding Jensen is Associate Professor in the Department for the Study of Religion at Aarhus University. We invited him to answer the question “What norms or values define excellent philosophy of religion?” as part of our “Philosophers of Religion on Philosophy of Religion” series. The question of “What Norms or Values Define Excellent Philosophy of Religion?” really is simple to answer. They cannot be anything other than the same norms and values that underwrite all other academic – philosophical and scientific – pursuits. What else, might we ask, if they are to be housed in the modern university? The problem for the philosophy of religion rather lies, as other blogposts indicate, in the distinction of the object of the ‘of’-relation. What is it that the philosophy of religion is a philosophy ‘of’? Norms and values display and relate degrees of rightness or wrongness in relation to human practices in accordance with given cultural and historically contingent social conventions. However, in the academic world, certain universal and transcendent conditions rule: truth, rightness and honesty must reign. Here, the least one can do is to secure an appropriate coverage of terminology. Thus, the crucial point is what is meant by ‘religion’ – as the meaning of ‘philosophy’ must follow the general usage in and of the modern university. Unfortunately, for the clarity of the discussion, ‘religion’ is a term that covers a fuzzy, if not outright messy, set of concepts. The philosophy of religion, if there is to be one such, must then necessarily follow the usages and insights from the study of religion, studies of religion that must, it should be pointed out, remain and rely on the same epistemic levels and with the same ontological commitments as philosophy in general. ‘What is religion?’ becomes the principal question, then. The many aspects of what we habitually cover by the concept of religion would preclude any stable treatment of the issue. The philosophy of ‘religion’ would necessarily dissolve into philosophies of sociality, semantics, beliefs, emotions, behavior, power, politics and the many other things that may be included in any religious tradition. Looking towards established philosophy of religion, we have been accustomed to what Mark Gardiner recently noted as philosophical reflections on ‘a particular type of belief system, namely Eurocentric abstract monotheism.’ I agree with Gardiner, that with ‘belief’ as the privileged core, the philosophy of religion has been narrow and skewed. Granted, there is a problem (or more) with the rationality of religious belief in the modern world, but that certainly is not the only – nor need it be the dominant – question for a responsible philosophy of religion. Imagine, what would the subject matters be of a hypothetical philosophy of TV? If it focused narrowly on advertising income, or on news presenter hairstyles, important as they may be in some places, we would instantly recognize the missing bits and pieces. Thus, to be brief, I must admit that I can see no other avenue for the philosophy of religion than to develop a broader conception of its own role in the modern university. Just as philosophers of, say, language have the work of linguists and other scholars / scientists as setting the boundary condition for their philosophy of language, so philosophy of religion should be congruent with the study of religion in its fundamental assumptions. This would mean listening to what goes on in the study of religion. However, not everything that goes on in the study of religion need be equally important, or even worth contemplating for philosophers, but many things will be worthy of attention. Here, it is equally notable how the study of religion seems to thrive in the university without serious engagement with philosophical questions. If, and when, practitioners of the study of religion may seem to neglect or disregard philosophical issues and tasks, it may also be because the impressions they get of what philosophy is and does have come from conventional philosophies of religion that appear parochial and one-sided. Contemporary studies of religion stress many aspects other than those relating to truth-issues in religious discourse. Such aspects are the emotional, behavioral, ritual, institutional – to name but some. It follows that the philosophy of religion should be oriented towards those same aspects and be able to assist the scholarly community in clarifying and explaining what philosophical engagements with religion and the study of ‘it’ may contribute to our understanding of these aspects of the human condition. This is what we should and could do. As can be seen from the number of subjunctives here, this little piece is a contribution to a normative discussion, true, but please note that it is a contribution to a discussion of methodological normativity. Thus, the philosophy of religion should not be a contribution to religion, but to philosophy on the one hand and to an understanding of religion on the other. Consequently, the register of normativity must shift from the moral-existential (or outright religious) to the methodological. The first requirement, then, is the distinction of what the philosophy of religion is a philosophy of. If its object is that which we call ‘religion’, then the philosophy of religion would need to heed what goes on in the humanities, in the social and the life sciences in due proportions and take its course according to its current object of reflection or investigation. The philosophy of religion must be nested within philosophies of other and ‘greater’ matters, just like an imagined ‘philosophy of ornithology’ would be embedded in a philosophy of biology in general. 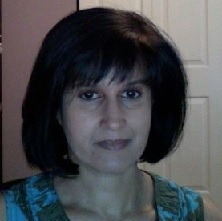 Sonia Sikka is Professor of Philosophy at the University of Ottawa, Canada. We invited her to answer the question “What norms or values define excellent philosophy of religion?” as part of our “Philosophers of Religion on Philosophy of Religion” series. The virtue of objectivity, understood simply (and vaguely) as an impartial willingness to follow the evidence where it leads, is surely of obvious value for any and every sphere of inquiry. A hermeneutics of suspicion might raise doubts about the possibility of actually achieving such a stance, and of course there are vexing philosophical questions about the nature of truth. But the sense that holding oneself to the regulative ideal of objectivity is an essential prerequisite for arriving at the truth, should it be possible to do so, is fundamental to the self-conception of philosophy, and it is a virtue in which philosophers generally take pride. Bertrand Russell speaks of “the impartiality which, in contemplation, is the unalloyed desire for truth,” connecting this “quality of mind” with justice. Heidegger, whose philosophical methodology otherwise has little in common with Russell’s, expresses a similar sentiment when he argues that a “Christian philosophy” is a contradiction in terms because philosophy is essential questioning. It asks, “why is there something rather than nothing?” whereas for faith, the question is already answered. Nietzsche may be alone among philosophers in questioning the value of an objective pursuit of truth, but even he does not maintain this stance consistently. It is hard to mistake the note of pride in his suggestion that, while complete knowledge may destroy a person, “the strength of a spirit” should be measured by “how much truth he can endure,” or how much he needs to have that truth diluted, sweetened and falsified. Religion is especially, for Nietzsche, the expression of weak spirits who cannot take the truth. This idea that religion is an error produced and sustained by desire – an “illusion” in Freud’s sense of that term – is by now a commonplace in both popular and academic discourses. Fear of meaninglessness and especially of death is often taken to be the ultimate explanation for religious projections, echoing Feuerbach’s proposal that “the grave of man is the birthplace of the gods.” One should be careful, though, of committing what I have taken to calling the nihilistic fallacy, supposing that if a belief is disconsoling, it is ipso facto true. This subtle bias is typical of a certain modern attitude, whose rhetoric often betrays pride in one’s own capacity to endure the cold, hard truth whereas weaker spirits must cling to comforting illusions. It sometimes informs discourse favoring “naturalism,” as opposed to belief in the “supernatural,” something of which no self-respecting, scientifically-minded and rigorous, philosopher wants to be accused (though a genuinely rigorous analysis needs to pose hard questions, I feel, about the meanings of interdependent terms such as “natural” and “supernatural”). Yet, with this caveat, philosophy should be essential questioning rather than confessional apologetics, and there are credible concerns about whether the current shape of the philosophy of religion truly is that. The dominant topics and structure of this subfield tend to reveal its origins as a descendent of Christian theology, continuing to follow the model of “faith seeking understanding,” Anselm’s motto in a distant age. John Schellenberg has pointed to the dominance of conservative Christian theologians within the field, suggesting that their approach is often not philosophy at all but Christian apologetics using the tools of philosophy. To be sure, one cannot legitimately dismiss arguments merely because they are presented by someone who happens to be a believer. It would also be naïve to suppose that anyone who enters a philosophical debate on a topic they care about is ever entirely neutral towards possible conclusions. We all have our sympathies. But starting with a bundle of “truths” that one is committed to defending no matter what hardly represents the virtue of objectivity, and seems an untrustworthy route for arriving at the most plausible beliefs about ultimate reality, death, or evil, among the other issues with which the philosophy of religion typically engages. If one should not overestimate the difference, in practice, between faith seeking understanding and open-ended philosophical questioning, one should also not collapse it. Personally, I have found the practice of teaching philosophy of religion to be the best education in objectivity. Trying year after year to perform the delicate balancing act of being respectful and kind to students coming from an enormous variety of perspectives, while at the same time encouraging thoughtful and critical reflection, provides a rare exercise in seeing, not without interest but with many and different eyes (Nietzsche’s interpretation of the closest we can come to “objectivity”). To some extent, this is true of all teaching, but philosophy of religion is different. The subject evokes strong passions stemming from beliefs that are constitutive of people’s identities, from the extremes of devout faith to militant atheism, with individuals at opposite ends finding it pretty much equally painful (in my experience) to take counterarguments seriously. It is impossible not to be intellectually shaped by the practice of repeatedly negotiating this context, under the pedagogical self-discipline of holding to values that are in the first place actually social rather than epistemic. I want to promote civility while not being perceived as favoring any student or set of students over others. I want to present counter-arguments without setting myself up as an adversary or opponent. I want also, in this subject more than in others I teach, to be compassionate, given the depths of the feelings and sensitivities at stake. Whatever conclusions I may come to on metaphysical questions, I would never want to treat lightly the refusal of tragedy and longing for meaning that motivates many (though not all) religious beliefs. No doubt perfect “objectivity” in a field like this one is unachievable, supposing that such an ideal is even intelligible. But if it is possible, in our classrooms, to consider with equal charity the views of believers and atheists and those in between – including thoughtful seekers trying to discover what is most plausible in a piecemeal fashion rather than committing themselves to one or another of those bundles of belief-and-practice that we call “religions” – then there is no reason why we cannot do the same in our scholarship. 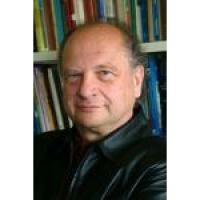 Robert Nola is Professor of Philosophy at University of Auckland, New Zealand. We invited him to answer the question “What norms or values define excellent philosophy of religion?” as part of our “Philosophers of Religion on Philosophy of Religion” series. The question to be addressed is: “What norms or values define excellent philosophy of religion?” There are many distinct areas within philosophy which concern themselves with special ‘philosophy of X’ topics where X can be mathematics, science, history, social facts, morals, and the like. In so far as these are philosophies of …, they will all, hopefully, exemplify the same values and norms which apply to philosophy itself (whatever these be). But the question also raises the possibility as to whether there is, for some X, some particular values or norms which are dependent on the kind of X considered and which do not apply to some other philosophy of Y or philosophy of Z. So, are there some particular norms or values in the case of philosophy of religion which do not arise in the case of, say, philosophy of science, or mathematics? Consider ontological matters. These arise when for example, we consider philosophy of mathematics and ask whether or not there exists mathematical entities such as numbers (to which mathematical Platonism answers ‘yes’, but constructivism and various kinds of anti-realist stance can be taken to say ‘no’). Again matters of epistemology arise when we ask what knowledge of mathematical entities we can have, given that we do not have immediate epistemic access to them. For the Platonist this is a problem, but for anti-realists this is not such a large problem since there are no such entities to which we need to have any epistemic access. Finally consider logical matters. Logic is at the core of philosophy and would be part of any philosophy of X that deserves to be called ‘philosophy of …’. If philosophy of religion were to ignore the values and norms of logic its viability would be undermined (as has often been the case). Similarly in religion, entities like God or gods or souls or spirits are postulated and we need to know, within the philosophy of religion, what answer can be given to the ontological question about God’s existence and what answer can be given to matters concerning their epistemic access. For the theist these are problems, but for the atheist these problems do not arise. In fact faulty ontology or epistemology provides weapons for the critique of much philosophy of religion. These considerations give support to the view that in philosophy of religion there are no special values and norms which apply to it but not any other philosophy of X. There may be distinctively important questions to pose and answer within philosophy of religion; but answering them ought to employ the values and norms found in ontology, epistemology, logic and other areas of philosophy. For atheists (e.g., scientific materialists) ontological questions within the philosophy of religion have a negative answer; none of its postulated entities exist. Religion is a vast error theory (to employ a term of John Mackie). However atheists do agree that there are still important questions to address concerning religion. God does not exist but there is still the matter of accounting for why people have commonly believed that God (or gods) exists. Thus Hume in his 1757 The Natural History of Religion looks to the perilous existential conditions of human existence as a cause of human belief that God(s) exists; and he also adopts the view that God is some kind of projection onto the world. In his 1841 The Essence of Christianity Feuerbach is more explicitly projectionist. But the God we humans project onto the world as existing is to be understood non-realistically; God does not exist independently of our projection of him. 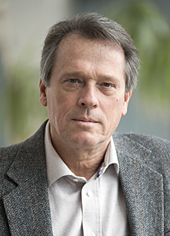 In the 20th century an important Humean influence can be found in the work of the anthropologist Stewart Guthrie, who proposes, in his 1993 book Faces in the Clouds: ‘… religion may best be understood as systematic anthropomorphism: the attribution of human characteristics to non-human things or events’. This is a suggestive research programme which should accord with the norms and values of any empirically based science (but not necessarily religion or its philosophy). This is particularly so when the sciences of anthropology or sociology are applied to religion. Hume’s posthumously published Dialogues Concerning Natural Religion largely considers arguments concerning the existence of God; he takes a dim view of their success (many in the philosophy of religion have yet to learn this from Hume). The Dialogues are often taken to be paradigm cases of good, critical, philosophical arguments applied to problems within the philosophy of religion. Addressing matters of argument has continued within 20th century philosophy of religion. If philosophy of religion is to survive as a subject it must employ the best resources of contemporary forms of reasoning developed within philosophy such as inference to the best explanation, probabilistic reasoning, decision theory, and the like. But alongside this, the last 50 years or so has seen a rapid growth in scientific studies of religion which bypass the traditional approach to religion based upon philosophy. Their aim is to draw upon the values and norms of science (and not philosophy) in explaining matters, such as why people believe in gods, the neurological basis of “religious” experiences (such as near-death experiences, or out-of-body experiences), the nature of spirituality, a naturalistic approach to Godless morality, and the like. These studies can be seen as complementing our understanding of religion and the problems traditionally addressed in philosophy of religion. But they can also be seen as undermining and debunking much of religion and its accompanying philosophy. It debunks because it exposes as erroneous many traditional explanatory accounts of religion which appeal to a divine God. In so doing it proposes a rival naturalistic account of how religious beliefs come about which then replaces traditional religion and its philosophy. Earlier in the 20th century Freud, a committed atheist, proposed that the causes of religious belief were to be found in “psychiatric delusions” such as unfulfilled wishes for a providential “father” figure to guide us through the vicissitudes of adult life. Freud took himself to be giving a scientific account of aspects of religion – but of course his psychological hypothesis needs to be subject to test by the methods of science. Freud is also a debunker of religion who took a dim view of the attempts by advocates of the philosophy of religion to maintain religion in some way; they ‘try to defend it piece by piece in a series of pitiful rear-guard actions’ (Civilization and its Discontents Part II). Perhaps one of the strongest challenges to traditional philosophy of religion comes from the account of religious belief to be found within the theory of evolution. Darwin had suggested in his The Descent of Man that there is a general propensity for humans to attribute agency to ordinary happenings (like storms, volcanic activity, etc) and that this readily passes into a belief in God or gods as unseen agents. This has served as a basis for recent theorizing within cognitive psychology about the evolution of agent detection devices which were initially directed upon the predatory agents with which our ancestors had to cope in order to survive. So there is postulated to be, in our minds, a hypersensitive agency detection device, given the acronym ‘HADD’. The processes of evolution along with other cognitive developments (such as language use and story-telling), turns HADD into an important evolutionary by-product which acquires the new role of postulating agents quite generally, such agents being a God, or gods. Again the postulation of HADD is a matter which has been given much attention to determine its scientific credentials. In addition there is research within the theory of evolution which is outside cognitive psychology. It looks, for example, at cooperation within social groups and the role which the belief in God(s) can play in maintaining and even enhancing societies. See for example, Dominic Johnson’s God is Watching You: How the Fear of God Makes us Human (2016) and Ara Norenzayan Big Gods: How Religion Transformed Cooperation and Conflict (2013). Once again belief in God is important; whether there is a God of traditional philosophy of religion drops out of consideration. The topics covered in these books are an important part of current research within the scientific study of religion. All of these studies are part of a naturalized approach to religion in which religion is no longer taken at its face value, as in traditional philosophical approaches. Rather the studies are part of the extension of science to the field of religion (critics would dub this as being “scientistic”). Given the same length of time in which philosophy has been an accompaniment to religion (from the Ancient Greeks onwards), it will be interesting to see the challenges which science will bring to religion and how much of it will survive (in my view not much). As matters currently stand, many of the above hypotheses need to have a proper scientific basis in testing; without this they will fall by the wayside as merely historically interesting speculations. But it is in this way that a scientific basis for religious belief will emerge from the processes of scientific development and testing. Such a process of conjecture and refutation marks an important difference between religious and many philosophical approaches to belief in God and the scientific approach. The original question asked was about the norms and values which apply to philosophy of religion. If it does not adopt the same standards to be found within philosophy then it is a lost subject, no better than dogmatic belief. However the consideration of religion from a philosophical viewpoint is very narrowly confined. The application of the norms and values of science opens up quite new perspectives on religion and the role it has played in human existence. For too long religion and its philosophy have escaped this kind of critical scrutiny. It is a moot question as to whether either will survive this scrutiny. 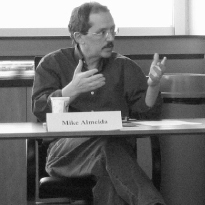 Michael Almeida is Professor of Philosophy and Classics at the University of Texas at San Antonio. We invited him to answer the question “What norms or values define excellent philosophy of religion?” as part of our “Philosophers of Religion on Philosophy of Religion” series. Methodology in the philosophy of religion, with few exceptions, has not received much discussion.1 It is a common methodology—but not one that is especially self-conscious—to approach the broad range of issues that characterize philosophy of religion with what we might call vastly overconfident aprioricity. John Mackie illustrates this method. Mackie approaches the problem of evil with a striking degree of confidence in our a priori knowledge of the traditional attributes of God. He writes: ‘. . . in its simplest form the problem is this: God is omnipotent; God is wholly good; and yet evil exists. There seems to be some contradiction between these propositions, so that if any two of them were true the third would be false.’2 Perhaps as famously, Mackie boldly declares that ‘any adequate solution’ to his version of the problem of evil must abandon the proposition that God is omnipotent, or abandon the proposition that God is wholly good, or abandon the proposition that there exists evil. It’s out of the question for Mackie that, on the contrary, we might doubt his a priori intuitions about the concept of omnipotence or perfect goodness. It’s bizarrely regarded as out of the question to suggest that these intuitions might be mistaken or not especially well-informed. The idea that we might propose an alternative analysis of, say, omnipotence, Mackie relegates to the bin of fallacious solutions. Mackie is not alone. We find a similar degree of confidence in J. Howard Sobel’s discussion of the problem of evil. Sobel considers the concept of omnipotence to be fully determinable a priori. Indeed, Sobel is critical of Plantinga’s departure from this straightforward apriori method. To offer a few more examples, it is an otherwise occluded metaphysical fact that—contrary to almost every version of the cosmological argument—there is no observational evidence that there are any contingent explananda at all. For that matter, there is no observational evidence that there are any impermanent objects or non-enduring properties. These metaphysical facts are revealed when considering whether we inhabit a Spinozistic or permanentist world. If some contemporary multiverse theories are correct, our world is indeed Spinozistic, though not quite Spinoza’s world. On some exotic—though well-defended—views of basic modal principles, ours is also a necessitarian, permanentist world.8 There is just no way to know any of this through the excessively confident apriori method. Whether there are any contingent explananda at all depends on larger ontological commitments that are not a matter of observation. The overconfident a priori method is completely unhelpful here. The methodological moral we ought to draw is that recent advances in metaphysics, epistemology, logic, and value theory—and there are lots of them—really should inform any a priori intuition we might advance in the philosophy of religion. Uninformed, commonsense intuitions—the kinds of intuitions that Mackie and Sobel frankly offer—are not especially helpful or reliable. Common answers to questions raised in the philosophy of religion depend on—more or less conscious—ontological commitments. Does the Free Will Defense depend on the existence of libertarian free will? No, it doesn’t, but free will defenders hardly ever get around to questioning libertarian free will. Does the problem of modal collapse depend on actualist ontologies? Yes it does, but the case against modal collapse never gets around to questioning actualist ontologies. Must cosmological explananda include change or motion or coming to be or contingency? Not at all. But we never get around to noticing that our world might not genuinely include any of these. The methodological moral is perhaps obvious, but it is much neglected. And that is perhaps due to the steep climb involved in coming to terms with so much philosophical work before we come to terms with problems in the philosophy of religion.